Samaritan System is a new binary options system that’s supposed to make traders nearly $4,000 in the first day of trading. As of right now there are apparently 7 spots available but with systems like these it seems like availability is just being used as a tool to persuade people to purchase. Today I’ll be reviewing this system and letting the readers of Binary Today understand the profitability that the software will meet it’s financial promises within the first day. The Samaritan system website provides us with a short video and some testimonials via Facebook screen shots. These comments are not being made in real time, and they are all being made by people with very generic names. Despite doing some searching on Facebook I haven’t been able to find any of these people to verify their identities. One testimonial from Mary John reads “this single independent mom is making over $2,500 a day!” Another comes from John Woods who says that he’s banked $12,000 and that this system is his “personal savior.” While these comments are all bright and cheery, I cannot verify the validity of any of them because none of these people can be found on Facebook, which is quite odd as I looked through hundreds of faces. The members area for the Samaritan system is the same as most of the products we see in the binary market. Traders have to register and deposit money with a broker and then they receive access to a software the developers promise will make over $3,700 today. The software is built to work with mobile devices, and is supposed to have a win rate between 85.90%. You can contact support by emailing [email protected] The results table shows results that are 9 days old, I’m not sure why that is. At this point I won’t be recommending the Samaritan system to the binary options community. 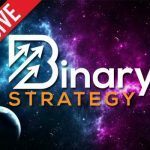 The website looks impressive but there’s really nothing different here than any of the other free based binary options systems on the market, all of which have failed. I am not a fan of developers that set expectations as high as they have. Making thousands of dollars a day is a dream and in my eyes is generally just a statement made by get rich quick scheme producers. If you have anything you would like to contribute, please leave your questions or comments below the article.